Color therapy and crystal therapy have very therapeutic and metaphysical healing properties. Consider using some of the crystals and the color pink listed below to help your pet with separation anxiety feel secure when you are away or to relieve any effects of past abuse such as increasing aggression or fear, and surround your animal with love and peace with the Power of Pink! Pink Zebra Jasper – (Gray with pink veins, root/heart chakras) wo rks on bone disorders, teeth, gums and heart. 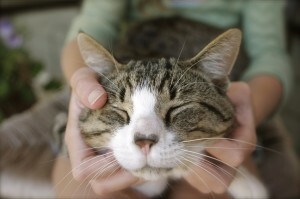 Emotionally helps to destress, subdue anxiety and provide stamina. Pink Zebra Jasper helps to keep you grounded during deep spiritual work and to live in the now! Rose Quartz – (clear with creamy shades of pink, heart/throat Chakras) helps with injuries, wounds, stress-related asthma, and works on anger, aggression, past abuse or neglect, grief and improving self image. It is also known as the ‘Love” crystal instilling love in our hearts toward others as well as attracting love. 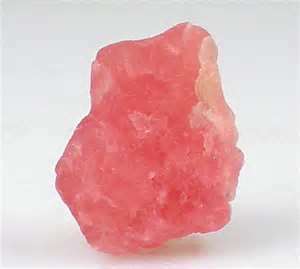 Spiritually, Rose Quartz promotes inner peace. Unakite – (pink and green, solar plexus chakra) Unakite releases old pain and discomfort and releases anger, vengence an old emotions. Wearing Unakite can help you realize oneness and connect to all life. Lepidolite – (lilac, rose pink, and sometimes with yellow, third eye/crown chakra) helps to balance the body and to aid with epilepsy, alzheimers, mood swings including menapause and bi-polar disorders. Mentally, releases addictions, encourages self love and independence, and clears the toxic effects of anesthesia. Lepidolite is a beautiful stone for spiritual work as it induces transition for the higher good, emotional balance, and meditation. Lepidolite facilitates cosmic awareness, dreamwork (often subduing nightmares) and accessing the Akashic Records. Pink – (heart chakra) the color pink heals the heart, adrenals and female organs including pregnancy and childbirth. Emotionally, pink brings relaxation, love, nurturing and relieves jealousy, tension and separation anxiety. Having pink around you helps you to see your life path and purpose, but too much pink can result in passiveness. How do you know if pink can help? How do you know which stone is right for you? You muscle test of course!